It is a fact that sometimes in the work environment, the settlement of employee wages often poses a problem for some irresponsible employers. They treacherously hold back the due payments of these employees, especially their overtime pay. 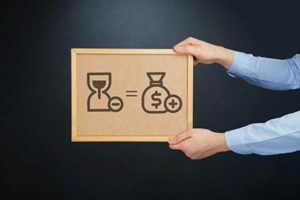 If you or someone you know has experienced such undesirable circumstances, you can speak to a qualified Wage and Hour attorney here in Buena Vista who would help you get the payments and financial remunerations that you deserve. Your attorney will guide you every step of the way, from the official filing of the complaint to the representation that takes place in court. Rawa Law Group is equipped with not just the experience, reputation or resources, but we also have your best interest in mind. We are a team of highly professional and competent attorneys, seasoned through the years and capable of handling your case flawlessly. You would be thrilled to know that we have redeemed hundreds of millions worth of compensation for many grateful clients in our over two decades of active involvement in the industry. Do note that we do not press for afore payments before taking on your case, we are more focused with getting you the legal treatment you deserve. We prefer to get paid after we have won your case and gotten you your due compensation. Feel free to reach us via the address below; we would be honored to hear from you.